Received it on time!Customer service is excellent!It's really warm and comfortable!! !Love love! Fits perfect and arrive in time. Thank you! My Daughter looks so cute. She loved it so much. Fit was true to sizing. Super soft, and an excellent Halloween costume. I won the costume contest in this. Very warm and well made! I absolutely love it!! I purchased a medium, I am 5'6 and weigh 123 lbs., I like my pajamas to fit loose and the medium fit me just the way I like!!! It's wonderfully cute. I love it, and I'd purchase more this kind of costumes, for sure! 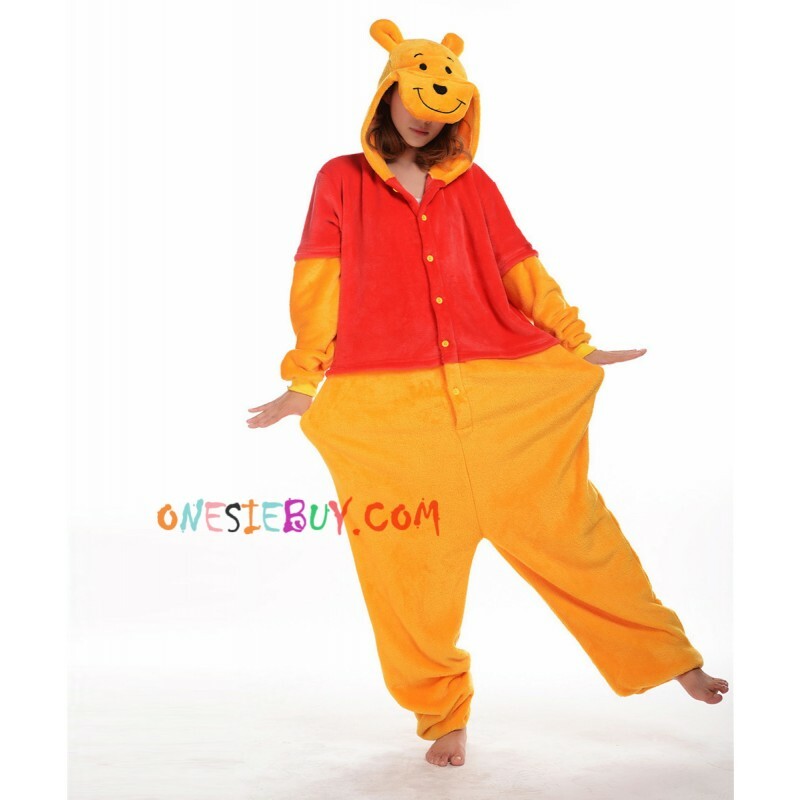 I have to say, I really love the Pooh, it is really cute. 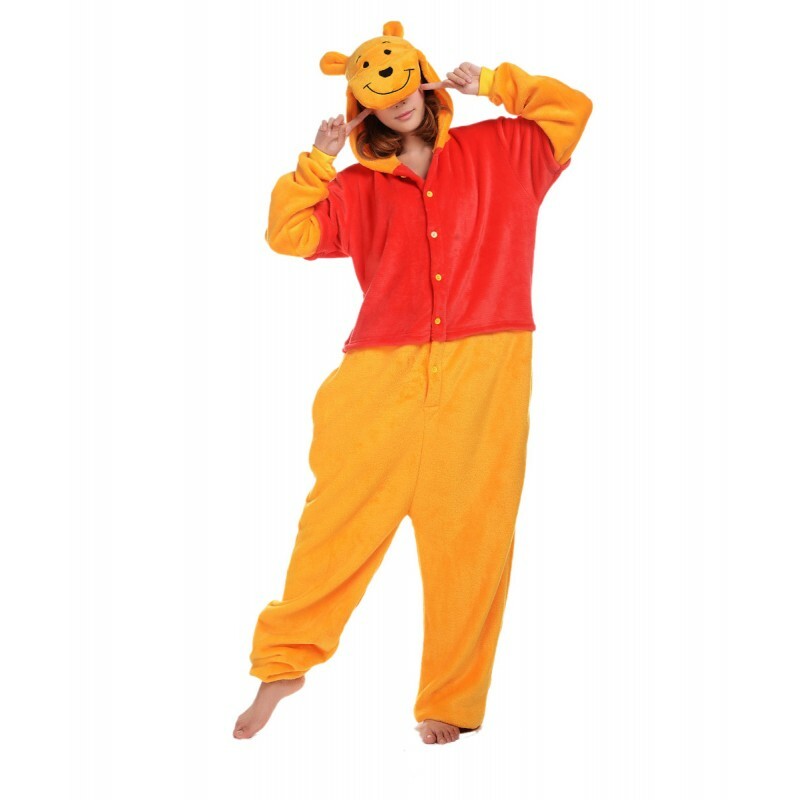 It can be used as a pajama or as a costume. Very snuggly and warm. I think I'll wear it for a long time. Because every time I put it on, I don't want to take it off. Awesome! 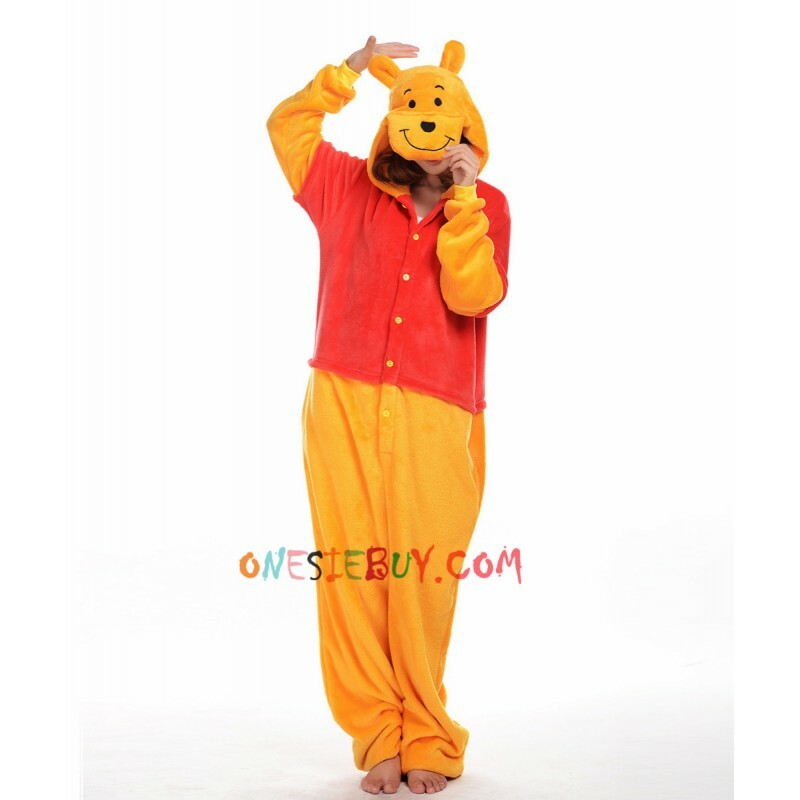 I'm a die hard Winnie th POOH fan! Well worth EVERY penny! Very soft! 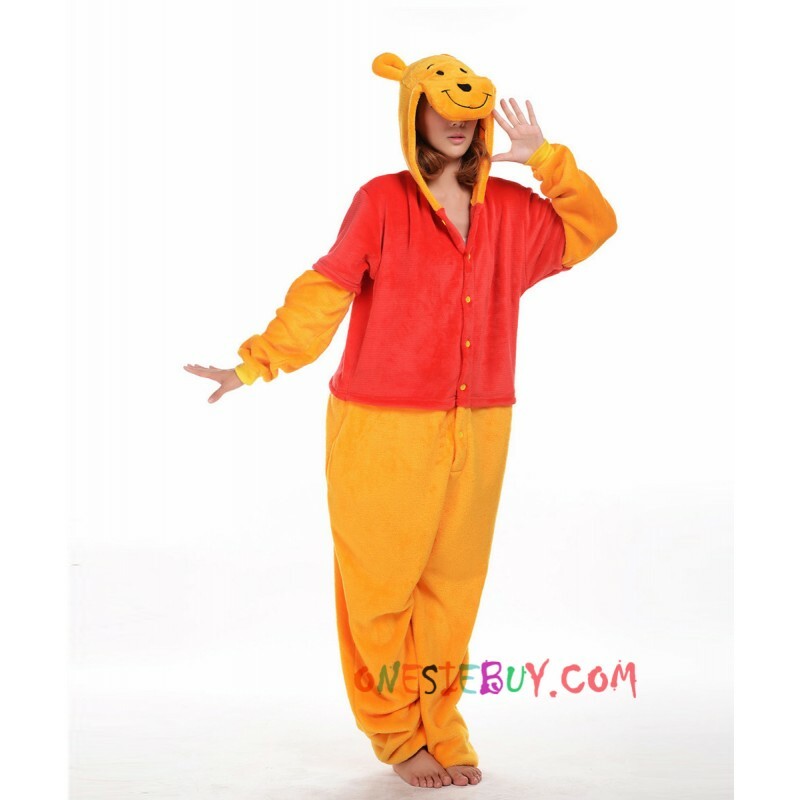 Strongly recommend to any POOH lovers like myself! Shipping was perfect! I decided to use it for Halloween. I think it's the most comfortable thing I have ever worn. It's so cute, I don't want to take it off. It is so kozy and cute. It is super warm. I feel right at home in it. I love this costume/pajama! Who likes to buy quickly, this is definitely a good choice. I think pooh Looked very cute for Halloween. And it's comfortable to wear, and I love it. It was a very good shopping. So comfy!! wore this for halloween and its my favorite! It was soft as I expected. Great for a costume and for lounge wear! I love wearing this on a cold evening! 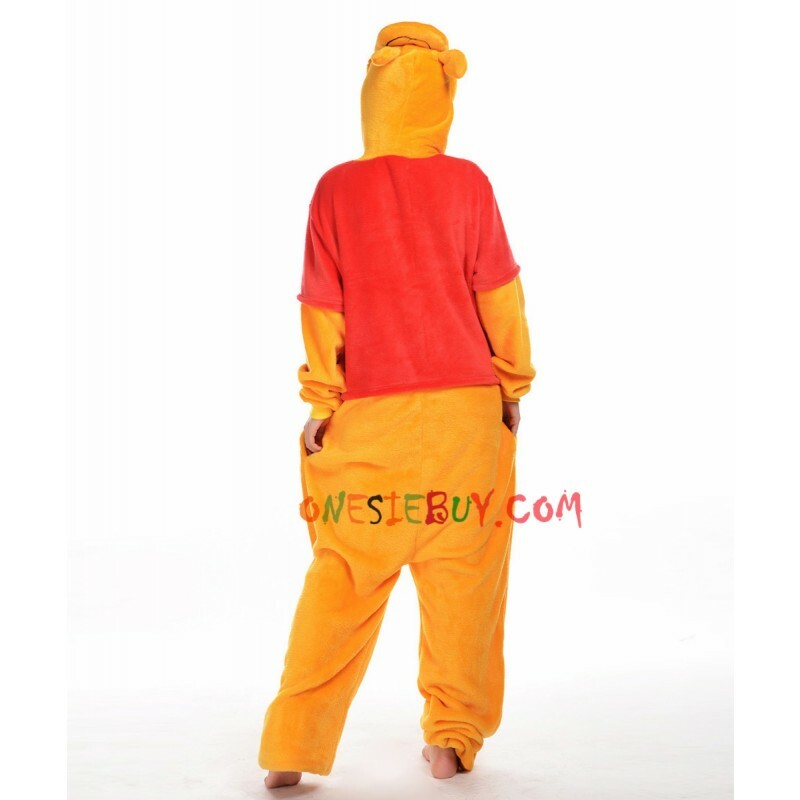 This is also great costume for pooh lovers. Great quality! I wore it for Halloween and got so many compliments. It was soft and comfortable too. It is so kozy and cute. It is super warm. I feel right at home in it. Fits loosely on my almost 4 yo boy, although he's only average height/weight. I think it's supposed to have a "floppy" sort of look to it, though. The fact that the wrist and ankles are snug make it fit regardless, and it's wonderfully cute. I love the hood as opposed to some of the costumes that have gigantic heads. Who knows, it may even fit next year. He loves it, and I'd purchase more from this line of costumes, for sure!